As you all know, I am an intern here at tourireland.com and I am leaving in a month. I started thinking of the places I didn’t have time to visit yet, and probably won’t have time but for which I will certainly come back to Ireland. First of all, I’ll fly directly to Cork to wander around in The English Market, Cork’s hidden village: it is one of the oldest of its kind. Trading as a market since 1788, it pre-dates most of the other markets like it. Indeed, Barcelona’s famous “Boqueria” market did not start until 80 years after The English Market first started to serve the people of Cork. Even Her Majesty Queen Elizabeth II visited Cork's English Market on May 20th 2011. If I have the time I’d like to stop in Cobh where on Thursday April 11th 1912, the last passengers of the Titanic were picked up. This might have something to do with the Blarney Stone, the legendary Stone of Eloquence, found at the top of our tower. Kiss it and you'll never again be lost for words. For over two hundred years world statesmen, literary giants and legends of the silver screen have joined the millions of pilgrims climbing the steps to kiss the Blarney Stone and gain the gift of eloquence. Its powers are unquestioned but its story still creates debate. Once upon a time, visitors had to be held by the ankles and lowered head first over the battlements. Today, it's not as dangerous to kiss the stone anymore as it used to be. The Stone itself is still set in the wall below the battlements. To kiss it, one has to lean backwards (holding on to an iron railing) from the parapet walk. If you come for the Stone, you may stay for the mystical and beautiful Rock Close and gardens. Take your time to make a journey through diverse surroundings from tranquil to serene, to mystical and magical places. From the top of the Castle you can take in the wonderful views of over 60 acres (25 hectares) of sprawling parklands which include gardens, avenues, arboretums and waterways. Blarney House, a Scottish baronial-style mansion, was built on the grounds in 1874 and is also open to the public.I have to go kiss that stone!! ? After Cork, I’d head in the direction of Killarney and the Ring of Kerry. The Ring of Kerry is one of the most scenic routes in Ireland. Beginning and ending in Killarney, it traces the coastline of the Iveragh Peninsula. The combination of ocean, islands, mountains with its many towns and villages makes it an exciting journey of discovery. I’ll take the tour anti clockwise from Killarney, as is it said to show the scenery in the most spectacular way. Heading north to the Connemara, I’ll stop in County Clare to see the Cliffs of Moher and the Burren. The Burren, from the Gaelic word Boireann is an area of limestone rock covering imposing majestic mountains, and tranquil valleys with gently meandering streams. Sounds beautiful and exceptional. Still heading north, I’ll take a day to visit an Island, before driving through the Connemara but which one will it be? I think I’ll go for Inishbofin Island, a friend of mine rented a bike for a whole day, and really enjoyed it… I’ll do that. I won’t go up further to the north and won’t stay too long in Connemara because I have been there already; I’ll go back east to the great city of Dublin. On the way, I’ll stop in County Kildare to visit the Museum of Style Icons, this Museum features artefacts associated the most notable Hollywood Stars including Audrey Hepburn, Marilyn Monroe, Princess Grace, Princess Diana, Michael Jackson, the Beatles... I am such a fan of all of these – I can’t wait to see. I’ll stop a bit in Dublin because I didn’t have time to go to the Zoo and so many people told me it was a must see in Dublin, and I want to do the Skyline Croke Park, but it only opens in June, so I’ll be gone already: Experience the Dublin landscape from 17 stories high - 44 metres above the ground! The rooftop walkway will be on top of Europe's 4th largest stadium with five viewing platforms. With a multi-lingual audio guiding device at the start of each tour you get a fantastic insight into the Dublin sites and attractions included in the tour. Also featured is a suspended walkway out over the pitch! 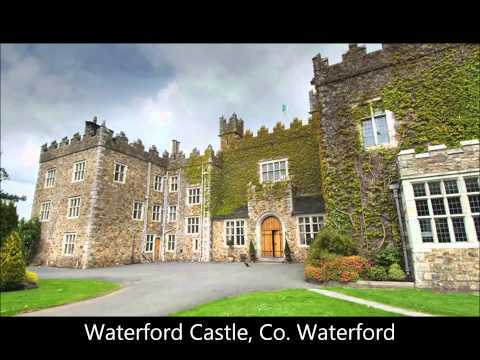 And last but not least, before leaving this beautiful country I will go for a big day out in County Wicklow to see the Powerscourt House, Gardens and Waterfall. Doesn’t my little trip sound like lot’s of fun, but you are wondering how I’m going to plan everything? Easy question, easy answer: I’ll click on this http://www.tourireland.com/customtours/, name my tour, add everything to it, and submit it to the great team here at tourireland.com!